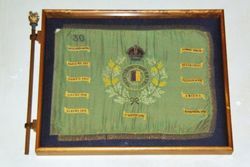 A roll of honour and laid-up regimental colours of the 30th Infantry Battalion and the 2nd / 30th Infantry Battalion commemorate those who served in World Wars One and Two. 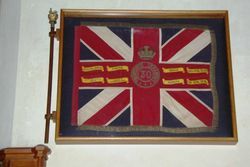 The Queen's (Above) and Regimental Colours (Opposite Wall) are the Colours of the 30th Infantry Battalion, NSW Scottish Regiment upon which are emblazoned the Battle Honours of the Scottish Rifles, 30th Battalion 1914/18 and 1939/45, 2/30th Battalion 1939/45 were Laid Up here at St Stephen's Church on 9th December 1962. 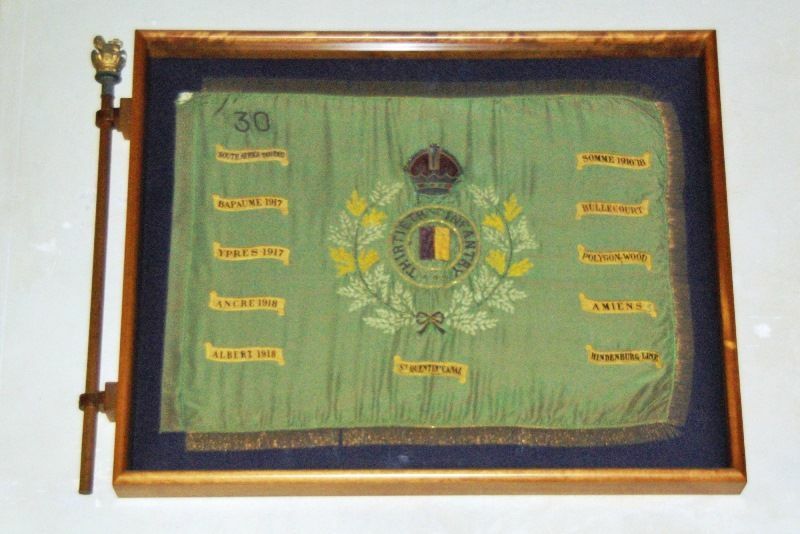 The 30th Infantry Battalion ceased to exist on 30th June 1960 upon re-organisation of the Citizen Army (CMF). This ended 75 years of Scottish history including 45 years known as the Scottish Regiment. At a ceremonial parade and ceremony former members of the "Rifles", 30th and 2/30th Battalions who had served in all the wars of the Australian Military Forces witnessed the Colours being Laid Up escorted by Officers and men of the descendant Company, A Company, NSW Scottish, 2 Battalion Royal NSW Regiment.